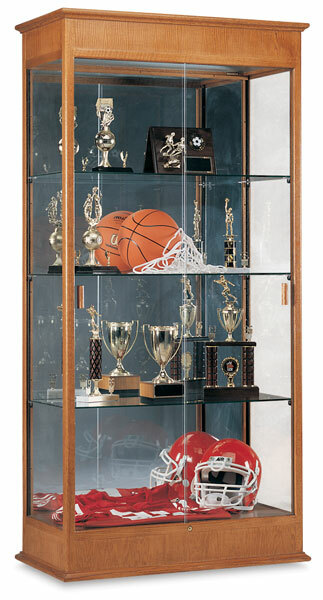 Designed with the timeless elegance of classic furniture, Waddell’s Varsity Series display cases are so well-crafted, they complement any décor. Made of solid oak and oak veneer, they feature cove molding, a built-in lighted cornice, three adjustable shelves, high-quality locks, and tempered glass for added protection. The Varsity Series is available in three finishes — Autumn Oak, Carmel Oak, and Cherry Oak.